We recently published the results of our first global market survey, which we undertook alongside our other international reinsurance media site Reinsurance News in late August. The survey reveals interesting insights into how the industry perceives the current state of global reinsurance and the potential for growth of the participation of the capital markets in it. Among these insights is the fact that more than 93% of our respondents expect further ILS market growth by 2020, with only 5% expecting it will remain roughly the same size (in terms of percentage contribution to reinsurance capital) and just 2% thinking it could decline. We asked what percentage of reinsurance capital could ILS and alternative capital contribute by 2020. As a benchmark to begin with, reinsurance broker Aon recently put ILS capital at $98 billion, which it says makes it 16.2% of the $605 billion of global reinsurance capital it measures. Our survey found that 46% of respondents suggested that ILS will contribute 20% of reinsurance capital by 2020, which would signal more steady growth of ILS at a similar or event faster pace to that seen in recent years. But that’s not the most ambitious projection, as 30% of our respondents said they believe ILS markets will contribute 25% of global reinsurance capital by 2020, which is only 13.5 months away. In that period it wouldn’t be expected that traditional reinsurer capital will grow all that significantly, suggesting that the ILS market would have to take away significant market share to reach 20% of capital, even more to reach 25%. ILS market capital would have to reach $121 billion by 2020 to contribute 20% of the current $605 billion of reinsurance capital. To reach 25% it would have to grow to more than $150 billion in market size. These are significant growth figures, but not impossible given the ongoing integration of ILS capacity and alternative capital into traditional insurance and reinsurance business models. In fact, ILS capital and capacity has grown by more than 10% over the year to June 2018, so growing roughly 23% to reach $120 billion plus by some time in the year 2020 seems eminently possible, given the evolution of the re/insurer business model, with respect to use of and engagement with the capital market and its investors. Of course, some respondents are even more bullish and see a chance that ILS capital could grow to contribute an even larger percentage of reinsurance market capital by that time, which is of course possible but would mean significant structural impacts for the market are ahead. 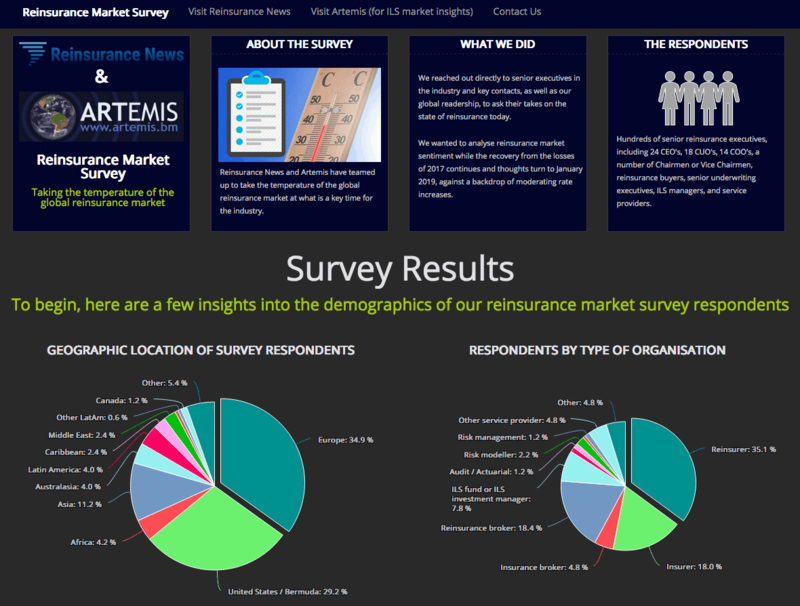 Our global reinsurance market survey was conducted through direct outreach to our senior reinsurance and insurance-linked securities (ILS) industry readership across both Reinsurance News (62,000+ unique readers in August 2018*) and Artemis (55,000+ unique readers in August 2018*), as well as through our wealth of industry contacts. Based on Google Analytics unique user numbers. 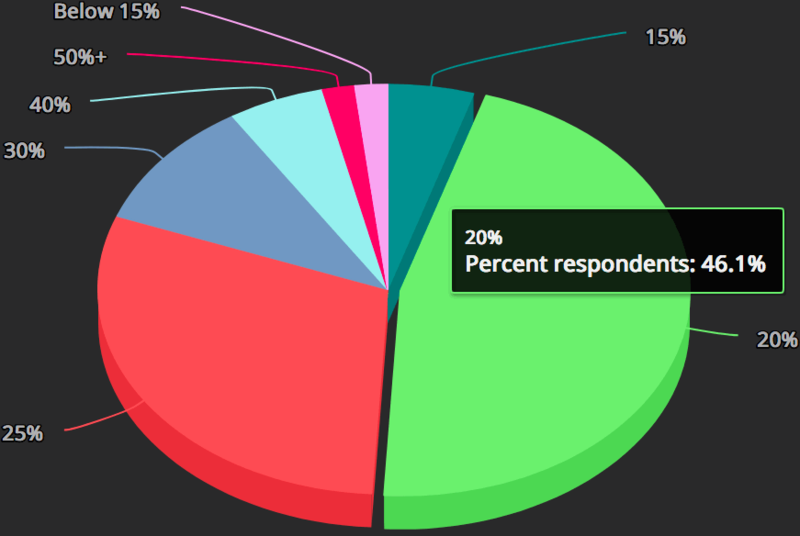 The full results of the survey are freely available online and we’re happy to discuss them with any industry participants. We’re interested to hear your thoughts.